Historically the first choice of New Zealand farmers for many years, herringbone farm dairies are now pre-dominantly the domain of smaller herds, typically up to a maximum of 300 – 400 cows. However, many larger herds are still milked in large herringbone farm dairies in New Zealand and other parts of the world. Herringbone farm dairies range in size from 6-a-side units, up to perhaps 40 or 44-a-side units. 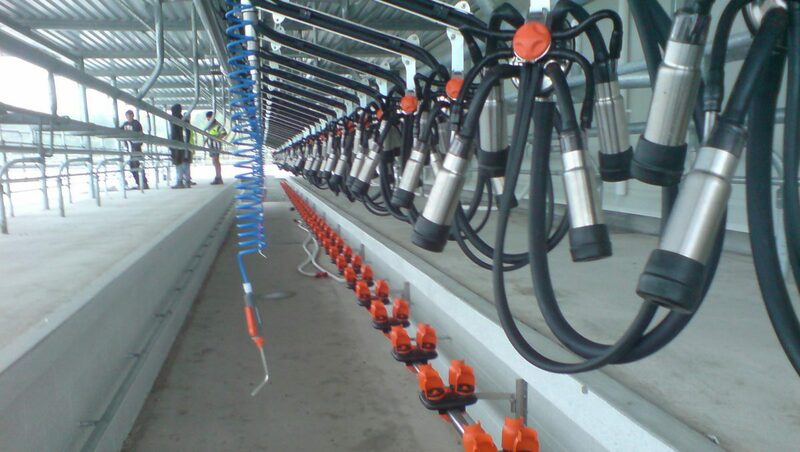 They have the advantage of being easily extended if herd size increases in the future, but larger herringbone farm dairies do require a higher labour input than rotary parlours in order to effectively carry out the milking process. Chapman Dairy™ has a wide range of designs for herringbone farm dairies that can be customised to suit your individual circumstances. In addition to herringbone farm dairies, we also offer a variety of yard designs and plant area and milk silo layouts. If you’re after more efficient herringbone farm dairies, take advantage of our vast experience and contact Chapman Dairy™.